What is Lords of the Eastern Reach? 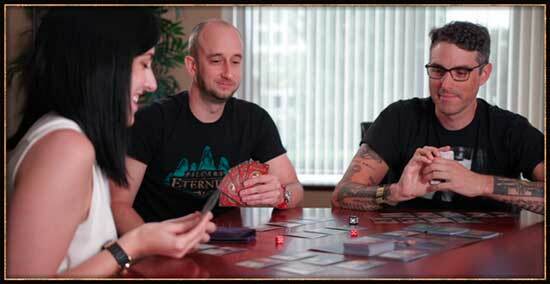 Lords of the Eastern Reach is a strategic card game of adventure and empire building based on the Pillars of Eternity video game from Obsidian Entertainment. You must protect and build a city. Hire heroes and troops for defense or to delve into dangerous dungeons for loot and glory. Build towers, strongholds, and other buildings to gain the advantage and go for the win. 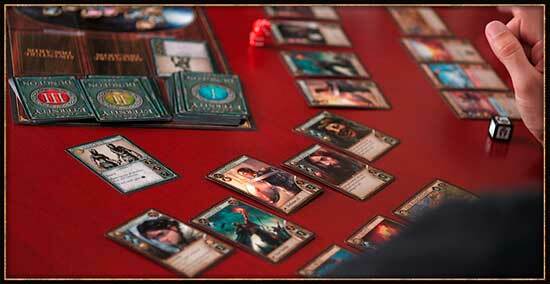 Players start with an allegiance card based on one of six areas from the Eastern Reach. Each allegiance has a unique ability, balanced by limits on food and buildings. 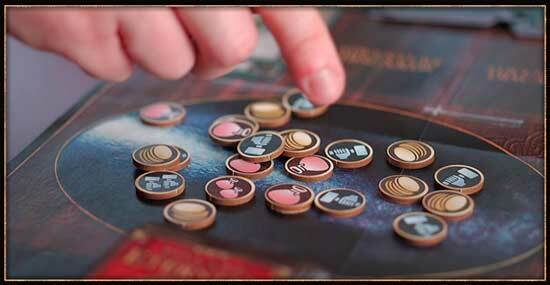 After combat, that player draws resource tokens from the bag and is the first to build/hire. If there are any remaining resources, they are passed around the table, giving each other player an opportunity to build/hire in order. 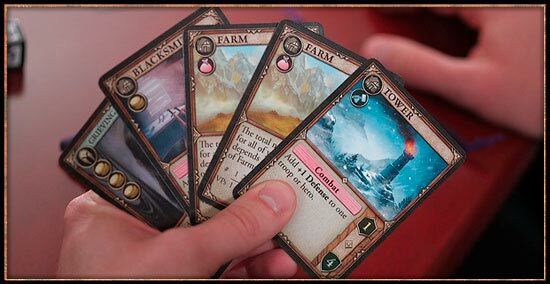 Resources are used to build cards and hire troops and heroes. 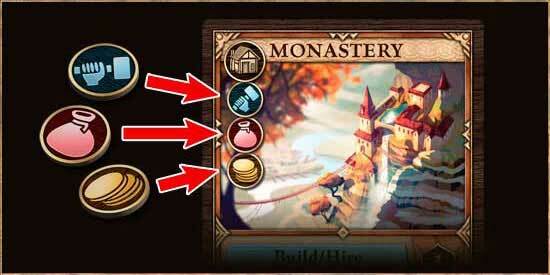 Buildings may give you more resources or let you manipulate them to maximize the number of cards you can play.